In the newest episode of Mana Wars, Aryeh is stepping up again this week to take on. To keep things interesting, we’re keeping the contents of his opponent Sigourney’s deck a surprise, and are instead going to solely focus on Aryeh’s deck. 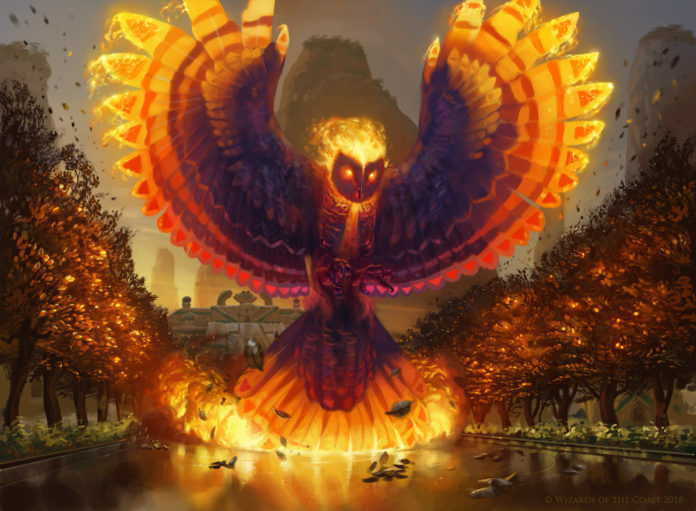 Thanks to his deck-building expertise and the fantastic staff at Pat’s Games, Aryeh is bringing a versatile WUW deck built around three cards: Lyra Dawnbringer, Rekindling Phoenix, and Aurelia, Exemplar Of Justice. Lyra Dawnbringer is a formidable enough creature in its own right. It’s a 5/5 flyer with first strike, making it inherently difficult to block while also making it extremely difficult to take on in a straight fight. When combined with its lifelink abilities, this card can easily turn the tide of a battle entirely on its own. Of course, Lyra also has the benefit of giving your creatures +1/+1 and lifelink. 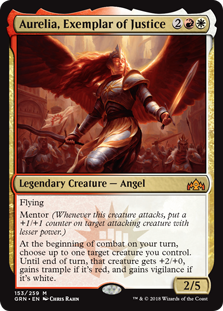 When combined with another card in the deck, Resplendent Angel, and its ability to create 4/4 angel tokens with Flying and Vigilance if the player gains life (which is certainly easy enough with this deck), Aryeh can potentially add a 5/5 Angel with vigilance, flying, AND lifelink to his side of the field each turn. Unless Sigourney can do something to stop him quickly, this puts a heavy limit on the opponent’s remaining time. True to its name, Rekindling Phoenix has a built-in mechanism to allow it to easily return from the ashes, with its added Haste ability making it even more dangerous than it worse before. This hard-hitting 4/3 is incredibly difficult to keep off the field once it’s gotten rolling, and it can provide both reliable damage and defensive support while Aryeh brings his more potent creatures to bear. As a longtime Nights At The Game Table favorite, Aurelia is an all-around useful flyer with a myriad of useful abilities. In particular, it can provide a +2/0 trample/vigilance buff to any of his creatures. Given the sheer number of Aryeh’s flying creatures, he can potentially be hitting with 7/7 flyers such as Lyra Dawnbringer. With that amount of firepower in hand, Sigourney will need everything she has to fend off Aryeh’s onslaught. Of course, those three cards are only the tip of the iceberg. Check out Aryeh’s full deck list below! To see how Aryeh’s deck fares against Sigourney, check out the episode below! Previous article3 Quick Tips To Improve Your Miniature Painting!